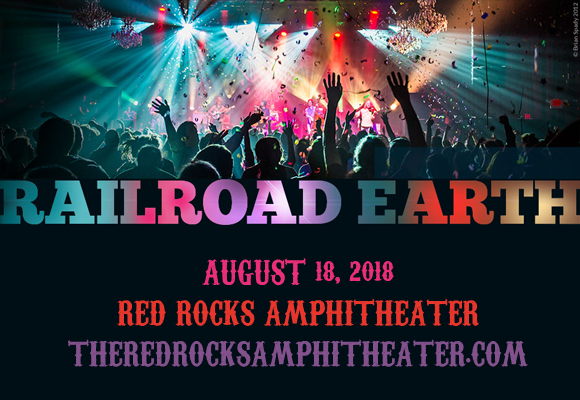 Red Rocks favorites Railroad Earth return to the 'Rocks on Saturday 18th August 2018! The Americana-infused jamband will be bringing their fun, sunshine-filled improv tunes to Colorado once more, alongside Portland bluegrass-rockers Fruition who will provide support! It's time to get free and loose and let the music take you there as these excellent performers bring their chilled tunes and easy summer vibes! Progressive Americana jam-band Railroad Earth began in 2001, in Stillwater, New Jersey. The band made their debut with The Black Bear Sessions that same year, leading to a record deal with Sugar Hill Records, with whom they released two albums – 2002's Bird in a House and 2004's The Good Life. To date, the band has released seven studio albums, and their latest release was a 2017 EP called Captain Nowhere, but it is the band's live shows that have really put them on the map and with their lively fusion of bluegrass, rock and roll, jazz and Celtic music they have gained a large and loyal following over the years.